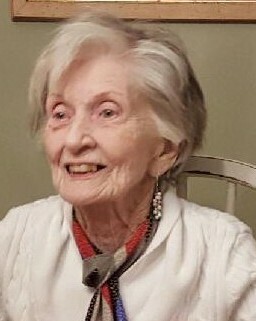 Jean Marie Bender, 94, of Exton, passed away on Thursday, April 4, 2019 at her home. She was the beloved wife of the late Otto F. Bender, with whom she shared 60 years of marriage at the time of his passing. Born in Shenandoah, Jean was the daughter of the late Peter and Sophie Klanavage Mullen. Mrs. Bender and her family lived in Paoli for twenty years before moving to Palm Harbor, FL in 1987. After her husband’s death in 2007, Jean returned to Exton. Jean enjoyed playing bridge, reading, golf and traveling. She loved spending time with her family especially around the holidays and was very proud of all her grandchildren. She was a former member of Chester Valley Golf Club and East Lake Woodlands Country Club. Jean loved flowers and shopping but only if she could get a good bargain. Mrs. Bender is survived by her children, Mark Bender and his wife, Joan, of Midlothian, Virginia, Gary Bender and his wife, Michele, of Downingtown, and Alan Bender of Alpharetta, Georgia; ten grandchildren and two great grandchildren. A morning visitation will be held from 8:30 to 9:30 am on Friday, April 12th at St. Elizabeth Church, 110 Saint Elizabeth Dr., Chester Springs, followed by her Mass of Christian Burial at 9:30 am. Interment will be in All Souls Cemetery, West Brandywine. In lieu of flowers, memorial contributions can be made to St. Jude Children's Research Hospital 501 St. Jude Place Memphis, TN 38015.